MyCBDR: The best way to report treatments and bleeds to your health care team. This flyer has been produced by the CHS to promote the use of MyCBDR to patients. It includes, among other things, a list of the benefits of using MyCBDR, its special features and information on how to register. MyCBDR app is available for free from the Google Play Store (Android version) and the Apple Store (iOS version). 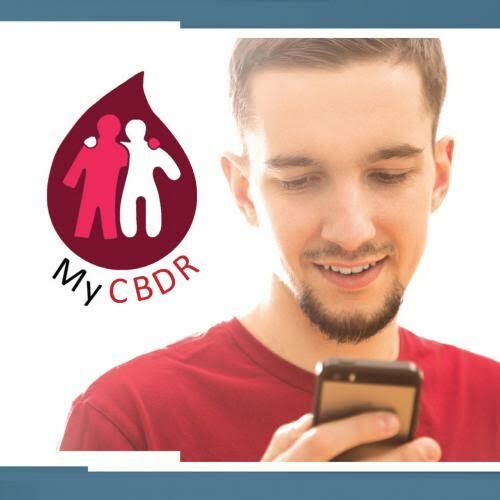 If you are already using the MyCBDR website to record your treatments and bleeds, you can log in to the app using your MyCBDR credentials. If you have not registered for MyCBDR yet, you can submit your request at www.mycbdr.ca/MyCBDR/Account/Register. Remember to select your HTC from the drop-down menu available at registration. The AHCDC and McMaster University are working continually to enrol more HTCs into the CBDR network. In case you belong to an HTC that is not yet using CBDR, you can still request a MyCBDR account by selecting “Holding Center for MyCBDR” as your HTC. Please feel free to send in your questions, comments and feedback to help@mycbdr.ca. A French version of the MyCBDR mobile app is now available on the Apple Store and Google Play Store. The app is named MonRCTC. Please note that this is a separate app and hence needs to be downloaded and used separately. It is very important to follow the instructions below should you wish to use the MonRCTC app. Log out of the MyCBDR mobile app. Uninstall the MyCBDR mobile app. Install the MonRCTC mobile app from the relevant app store (depending on the user’s device). Log on to the MonRCTC mobile app and wait for all data to be synchronised. If you have any questions or concerns please feel free to write to help@cbdr.ca or help@mycbdr.ca so that their dedicated help desk officers can help you.